Why Are My Senior Photos So Expensive? Good afternoon seniors and parents! Today I wanted to write a post breaking down all of my senior packages to show you what you are investing in when you have your senior photos taken. Your senior photos, in my opinion, are something worth investing in! Your senior year is your time to shine and you want to remember all that you did in high school to show your children and grandchildren! I have been graduated from high school for four years now and I still look back and treasure my senior photos! Now me telling you this might not show why you should get senior photos or why they are so expensive so let me break down my packages for you to show you what all goes into making your senior photos beautiful. It is never just the hour and a half to two hours of session coverage when we take your photos. A lot of things go on behind the scenes to make every session that I do a success. Now with that being said let's look at my packages and all that goes into your session! One and a half hours of session coverage. No less than forty high-resolution images delivered through an online gallery. No less than sixty high-resolution images delivered through an online gallery. No less than eighty high-resolution images delivered through an online gallery. Now that I have broken down what is included in my packages I want to tell you what you are paying for when you choose one of the three packages. So, of course, the session coverage in which package you choose is included but what you may not know is that it takes me an hour to location scout to find the perfect place to take your photos. This happens a few days before your session and before I leave my office the day of your session I spend thirty minutes cleaning gear, wiping memory cards and packing my bag. So what most people don't realize is that you are booking me for an extra hour and a half than what is stated on the package information. After a session, I am so excited so as soon as I get home I start culling through all of the photos to find the ones that will be delivered to you. This culling process takes me one to two hours to complete and after I have found all of the good photos I start the editing process. The editing process takes me anywhere from eight to ten hours depending on how many photos I will be delivering. I take my time to make sure that every photo is edited to my light and airy style and if it was a cloudy day or skin tones don't look quite right I make sure to fix all of those problems to make sure that every photo comes out beautiful. I require that all of my senior clients sit down with me for a consultation to answer a questionnaire so I can get to know you better, go over the different package options, book your date, sign the contract and pay the $50 deposit (which is included in the session price). This takes anywhere from thirty minutes to an hour depending on how many questions you and your parents may have. Here is a break down of what I make per hour using my Active Senior package. This package is $220 so most people assume I am making $110 an hour and that is not the case. See the beak down below. I added up all of the average hours from earlier and divided it by 180 to get how many hours goes into each session. I wanted to end this post with saying that yes there is A LOT of hard work that goes into a senior session but I wouldn't have it any other way! I enjoy every single part of this process and I am so blessed that I get to do this for my job! I hope that this post today helped you understand not just what goes into your session but also what you get in return. When you invest in your senior photos you are investing in memories that will last a lifetime and that can get passed down in your family. I hope you all have an amazing weekend and an amazing senior year! Good afternoon seniors and parents! 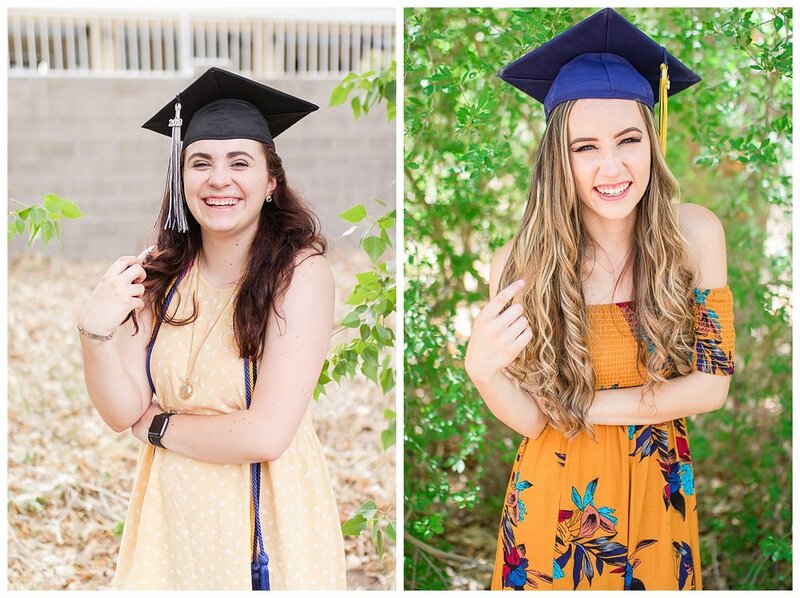 With the 2018 school year coming end I wanted to help out my future seniors with this post about how to choose which season to take your senior photos. As you know each person has a favorite season, mine is fall. I love the colors of the leaves, the style of clothes, the coffee drinks, the cold weather it's all so beautiful to me. When you are deciding which season you want to capture your photos in you want to think about which one is your favorite and why. Think about what draws you to that season the clothes, the weather, the drinks, the food and anything else about that season. I am going to give you tips and examples of which month, what to wear, and what to bring to your session during each season. I want to start off with spring. Spring is the time of year when everything is in bloom and everything is the most beautiful shade of green. March and April are the best months to take your photos because the flowers are in full bloom and the leaves are such a rich green. You always want to wear pastel colors such as pink, blues, and greens and richer jewel tones such as darker blues, greens, and whites. These colors will stand out against the green in the trees and compliment the colors of the flowers really well. Summer is the time of year when you can cut loose and have fun. In New Mexico, our State Fair is during the summer and it is an amazing place to take your photos with all of the lights, rides, and stands. July and August are the best times of the summer to schedule your session you always want to wear bright colors to stand out against the colorful backdrop. This is also a time where you can be a little bit more casual. The summer is the time to have fun and kick back and not stress. Fall is the time of year that many girls love. It's the time for colorful leaves, pumpkin spice lattes, dark colors, and colder weather. During the fall you want to wear reds, maroons, yellows, browns, forest greens, oranges or any dark color. These colors compliment the colors of the leaves and stand out in a beautiful way. The best time to get the most beautiful colors is at the beginning of October. This is when the leaves are the most beautiful shades of yellow, orange, and red. In Albuquerque, we have this huge event every October called The International Balloon Fiesta. People from all over the world come to Albuquerque to fly their balloons for ten days during this amazing festivle. It is one of my favorite olaces to shoot and if you want to have your senior session there you will not be disapointed in the final result. Winter is my favorite season and my favorite season to take photos! There is just something about the white of the snow and how you have to bundle up to stay warm it's so beautiful to me. When you are taking photos in the snow you always want to wear either really bright colors or very dark colors to stand out against the white of the snow. You want to stay away from very pale colors and white so that you don't blend in with the snow. This is the perfect time to break out a beanie and scarf so you look like a model. My local seniors, the best place to get the best snow is up near the crest of the Sadia Mountains during the end of January early February that is when Albuquerque receives the most snow. I hope that all of this information has helped you and that you will be fully prepared to plan your senior session to the fullest! THE PARTY IS ON INSTAGRAM COME FOLLOW ALONG! Good afternoon current and future high school seniors! I wanted to write this post today to give you some tips on how to style outfits for your senior session! Your senior pictures are something that you will treasure for years to come. Each photo should capture who you are and so should the outfits that you chose. I am going to share three style tips with photo examples. 1. Tip number one is if you have a letterman jacket a sports uniform or a class ring bring it with you to incorporate it into your session. You have worked hard to letter in your activities and decorate you letterman so why not show it off? If you have been on a sports team or after school activity that you love, bring your uniform! If you have a class ring it is an awesome detail to add to your photos. 3. Tip number three is to include someone special in your life. Whether it be your best friend, a boyfriend, a parent or a pet make sure they get to take part in these special photos. You will be able to look back and have these special photos with these special people in your life. 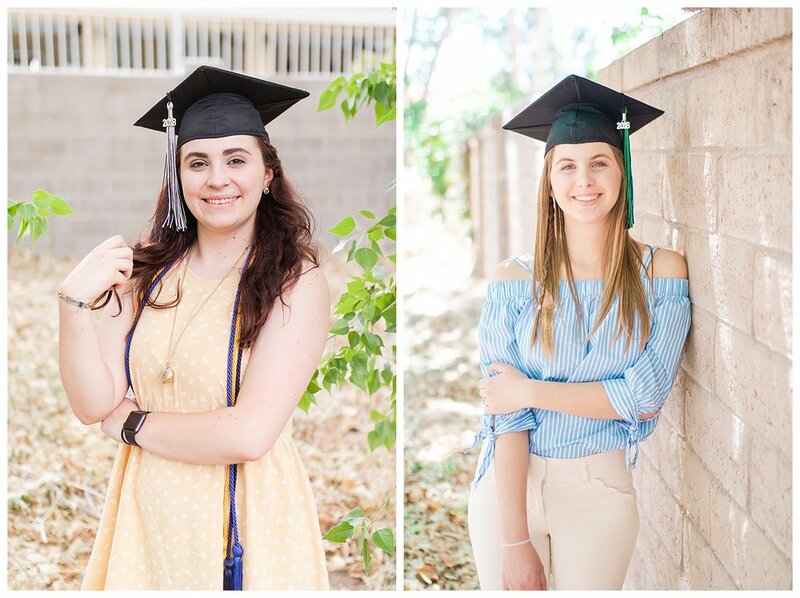 I hope all of these tips will help you as you are planning your senior session! I hope to be the photographer lucky enough to capture these photos that you will treasure for years to come. I wish I had known about these tips for my senior photos because they would have been a little more special to me. I am excited to share these tips with you to help make you senior photos more special for the years to come. Winter is My New Favorite Season! This session was very special for me because I was able to capture my sister-in-laws senior photos! I have always wanted to do a session in the snow and when my sister told me that she wanted some of her senior photos in the snow, I was so excited! Sadly, we live in Albuquerque, New Mexico where there is no snow right now. So I was bummed waiting and waiting for snow that wasn't coming. But then I remembered we were going to Wolf Creek for a family snowboarding/skiing trip over the New Year. So I decided to take advantage of the beautiful snow and take these portraits that I am so proud of. We wanted to get the most variety out of this session as we could since we knew we weren't going to have snow at home. So we went with two different outfits and as many different locations as we could find. Elena was a total trooper because it was so cold! It was below forty degrees in the shade! It was a team effort to keep Elena warm in between shots. I am so happy that I was able to capture these photos for her and I cannot wait to see where God is going to take her in the next chapter of her life. I am a twenty two year old photographer who loves to capture weddings and seniors.